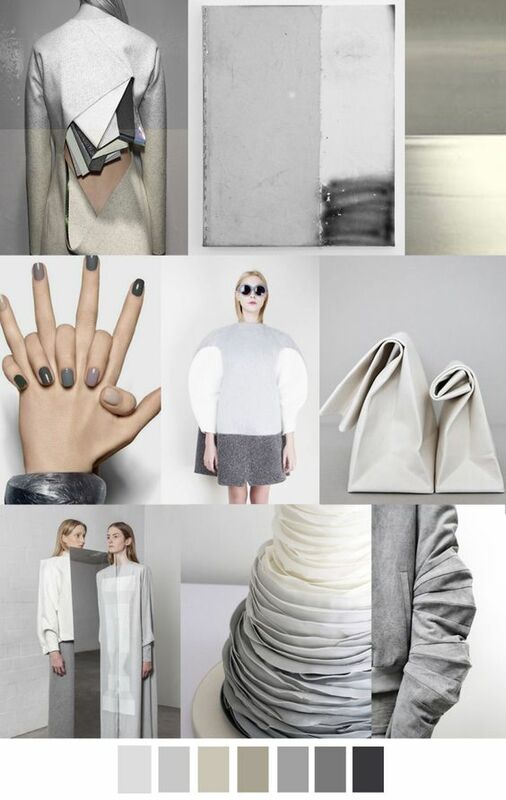 Arctic shimmer and sleek tech silvers to rival nasa as fashion goes greyscale, it’s certainly not cloudy. 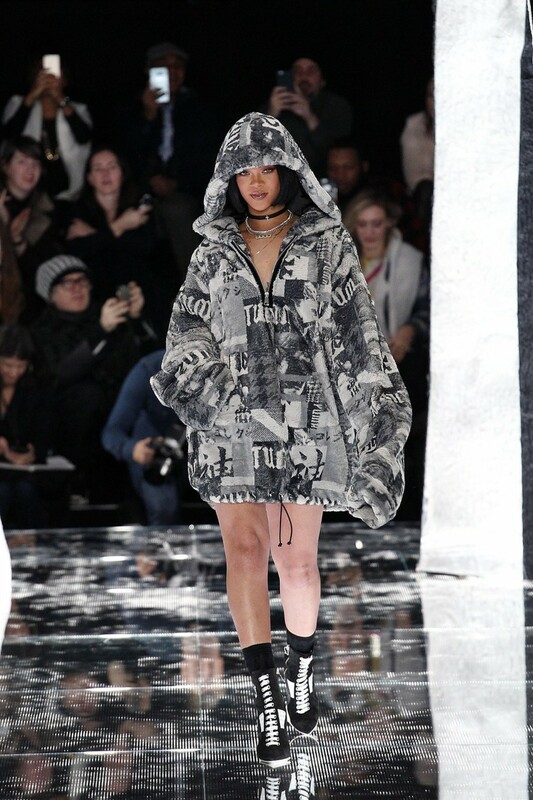 Image source: Vogue #rihanna #puma Picture credit: Indigital Perfect Oversized Hoodies to keep cosy and cover the bump. 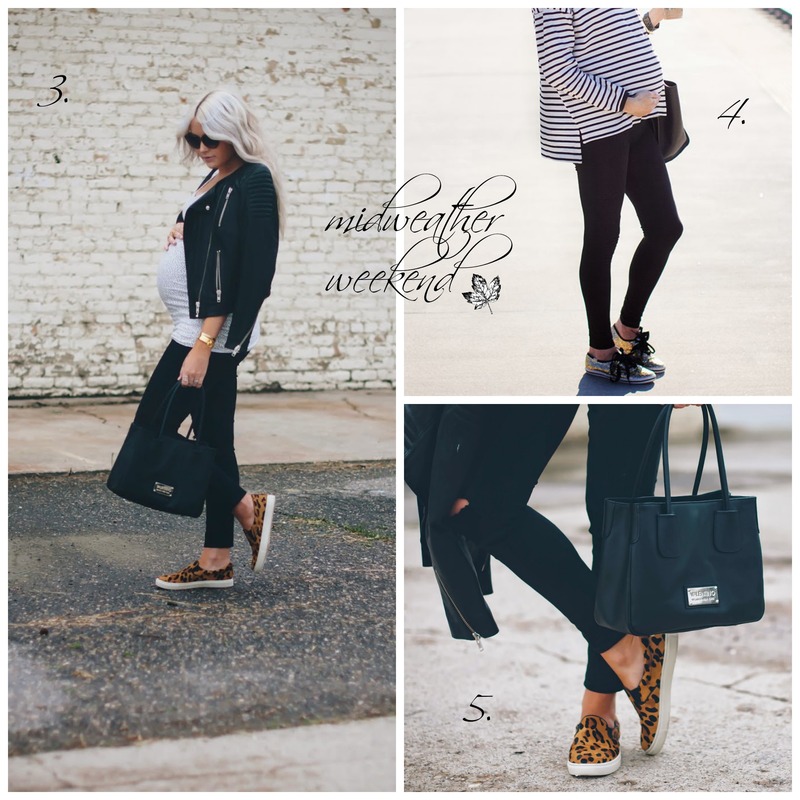 As you all know I usually like to wear non maternity brands as they offer a wider range of cool clothes compared with the usual blue and white stripped maternity dresses all over the high street. So, you’ll find that most of my wardrobe is filled with items that I can get over the bump now but also wear post pregnancy. 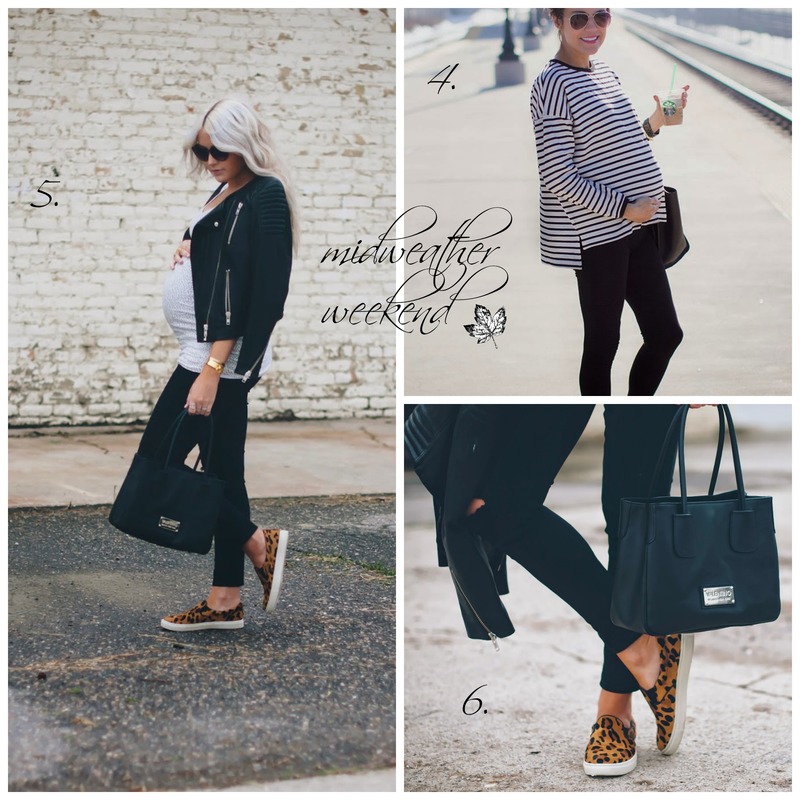 I like to wear comfortable yet fashionable clothes that I will still be able to wear even after the little one has arrived! Longevity is key. 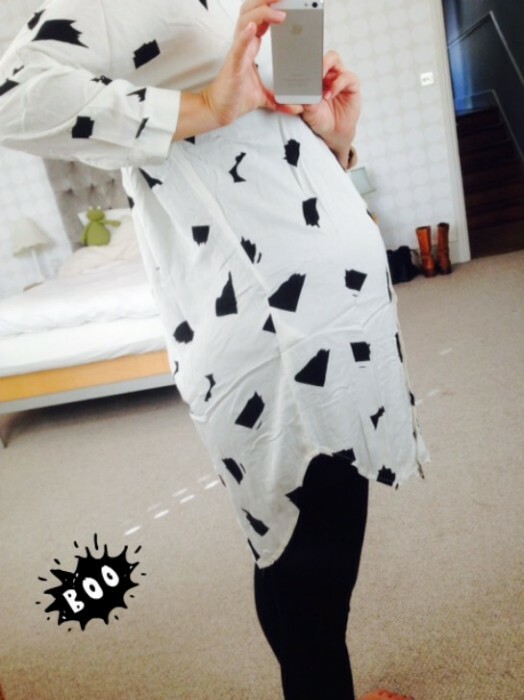 New non-maternty shirt by Vila from Atterleyroad with leggings and black boots. Lunch with the ladies and dinner later for a Birthday celebration! 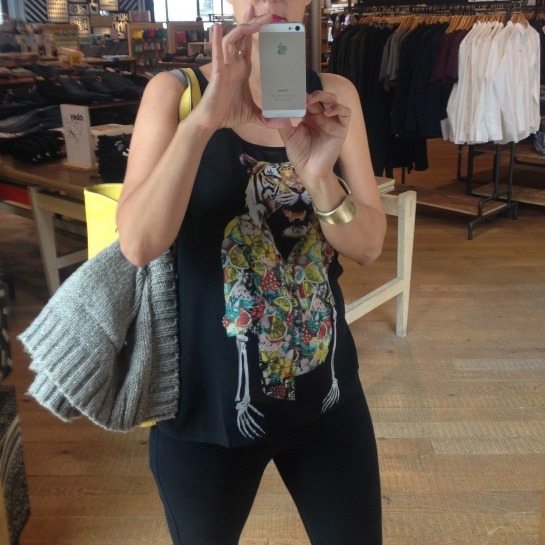 Working in Shoreditch and a spot of lunchtime shopping! Tiger top by Volcom, Gold thread cardigan by Essentil Antwerp , Gold Bracelet from Lavish Habit. I love a good session on pinterest and what better way to find what other maternity fashionistas are wearing now that the weather is on the turn. Still warm during the day but definitely a nip in the air come the evening. 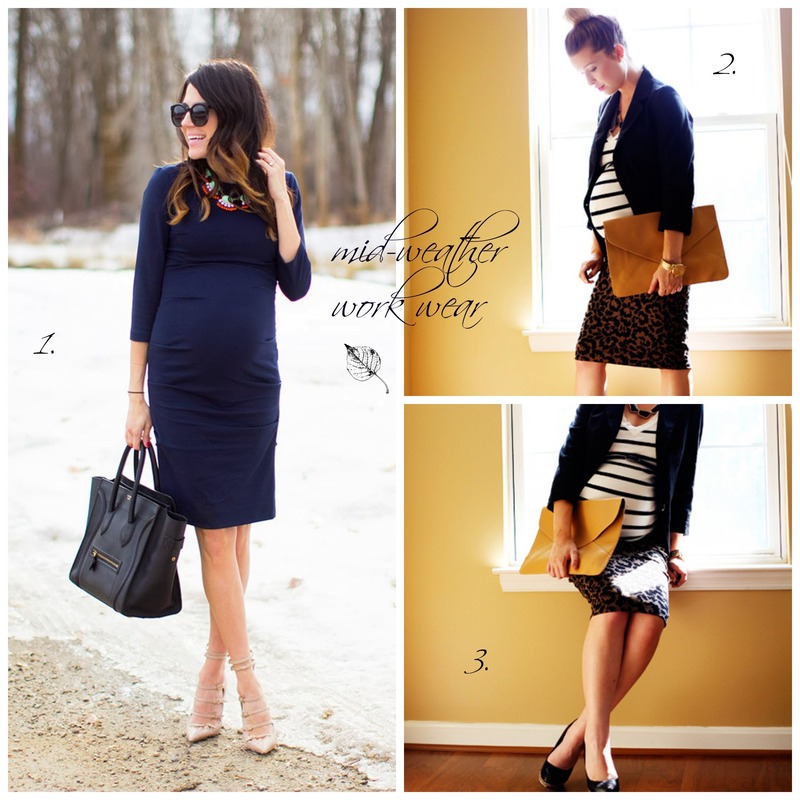 Have a look at some of my easy faves both for work and the weekend. 1. Love this simple classic navy blue bodycon dress. Source: hellofashionblog. 2. & 3. Plaid skirt by Jessica Simpson, teamed with an easy fit striped T and a Navy Balzer to smarten up the look. Bringing together with an oversized clutch. Also good for blending in the bump. Noir always brings with it a touch of elegance and style even when the outfit is quite casual. Perfect for a weekend lunch evening at the pub. Give those feet a rest in funky pumps – Totes still in! Forget tunics (let’s leave them behind in ancient Rome where they belong) for it’s the hour of the #shirtdress and how convenient if you’ve got a little bump protruding from your body because now you don’t just have a general glow about you, you can also be totes #ontrend! 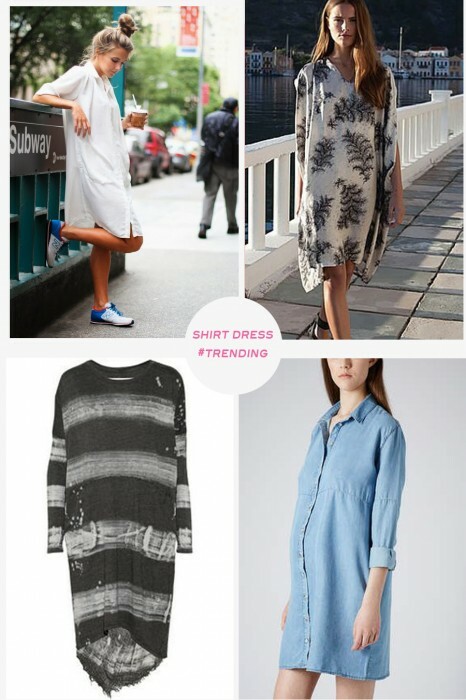 Head to TopShop, Raquel Allegra, Plumo and Wonhundred for your shift, shirt action! Gwen Stefani has long been the queen of style even when she is preggars. Expecting her third this year, Gwen is stepping out in super cool style and sporting one of my fave Maternity wear Brands. And spotted here in Hatch Holiday! Tux trend #OT comes in Both Green and Black – Check out the full Hatch Holiday collection here! The star is the perfect example of a super mum, because being pregnant does not stop this lady of cool. Oh no, word on the street is that she is now launching her third clothing line DWP, flaunting a new signature part slouchy, part tailored pant to replace jeans in women’s wardrobes. No easy feat I say which is most likely why she teamed up with the denim guru Michael Glasser himself, to create the latest collection. Gwen’s working the tops while Michael focuses on the bottoms! LAUNCHES TODAY!! for Spring delivery. Cannot wait!